We found an important research by Sarah Turner on Website Planet that came out last week. 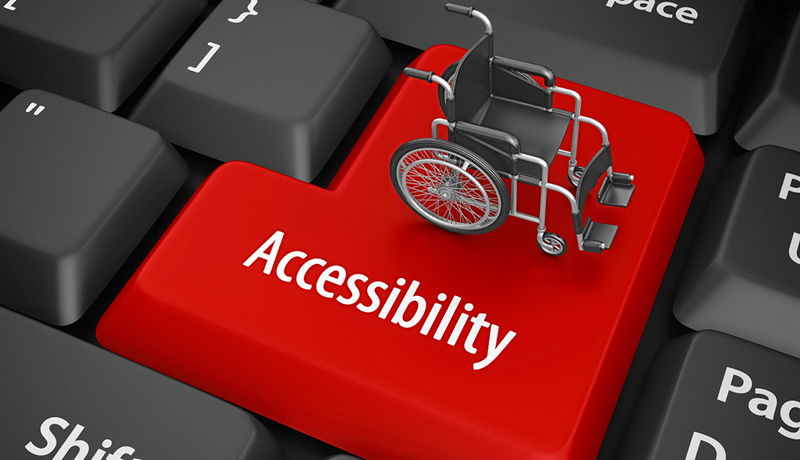 It found that over 96% of government websites exclude disabled men and women from showing on web pages. Miadria has always been sensitive to those less fortunate and we have recognized the importance and options that cloud computing brings to them. Technology is now playing an increasingly pivotal role in our daily lives. While it undoubtedly aids the lives of the able-bodied, the benefits that it can bring to the disabled are huge in comparison. Cloud computing can help empower people with disabilities by offering increased independence and opportunities to participate in the workforce. Big market players, united under the name ‘Raising the Floor’ (a consortium of sixty academic institutions, businesses, and non-government organizations) work on the project which hopes to build an “on-demand, personalized and accessible on-ramp to the internet”. Now, what this means in real life? Using the cloud makes it much easier for people to access online content and services in a way that meets their individual needs and preferences. As cost and flexibility drive more businesses to adopt software-as-a-service, there needs to be a conscious approach to ensuring that people with a disability can access SaaS applications. For example, cloud services can potentially make it easier for a person with a disability to employ the assistive technology they already use at home for work tasks. For them, the cloud could be revolutionary in providing an accessible working environment. All of the three major ecosystems – Windows, iOS, and Android – provide effective accessibility tools such as screen readers, screen magnifiers, on-screen keyboard support and captioned video playback, The accessibility feature that won Microsoft plaudits in the report is its support for roaming profiles that allow a user to take their accessibility settings with them regardless of which device they are working on. While this is probably more consumer-based at the moment, there’s no reason why the business couldn’t also take advantage of some of these exciting cloud offerings and use them to assist employment of people with disabilities. Here are some examples of what it might mean to a disabled person. Let’s say you had a disability and you walked up to a ticket machine in a train station, What could happen is that in real-time you’d be identified, your profile would be pulled down from the cloud, and that ticket machine would be set up in a way that works for you. Or, if you were a vision-impaired person, it might make the display high contrast and use large print and read things out to you. But if you’re in a wheelchair, it might drop the text to a lower part of the screen and put the touch buttons at the bottom of the screen and make it accessible that way. The key characteristics of these next-generation accessible devices will be a multi-modal interaction (including speech, touch, gestures, and eye gaze), contextual awareness (of factors such as ambient noise, whether the user is in the car, and the user’s mood), and the ability to be personalized. Today, for example, a vision-impaired user can scan a label to the cloud and someone can respond with a text that explains the label’s meaning. Tomorrow, the cloud will support an even larger universe of accessibility services that will create a more inclusive society. Google showed at this years I/O conference how AI can make real-time phone calls for you, you can see it here in this video. Just imagine what this kind of technology will do for the disabled people all over the world. And since we already got started on such exciting possibilities, the future ahead is bright for all of us. The world without exclusion is the world where we can all live our lives to the full potential.